How to Link PAN Card with Aadhaar Number: The government of India has made it mandatory to link existing Aadhaar numbers with PAN of taxpayers with effect from July 1.Amending income tax rules and notifying the same, the government has made quoting of the 12-digit biometric Aadhaar or the enrollment ID a must at the time of application of permanent account number (PAN). 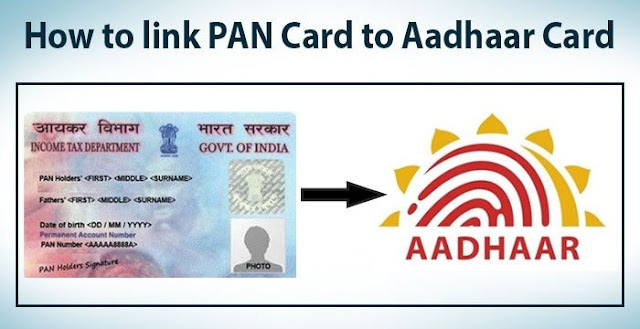 The August 31 deadline to link Aadhaar number with PAN card is just two days away, two months after it became mandatory for all citizens filing income tax returns. With the last date to link Aadhaar and PAN coming soon, if you fail to do so by August 31, your income tax returns will not be processed, according to Income Tax E-filing website. Moreover, the last date has already been extended once, the government has said the last date will not be extended anymore. This means you will not receive the income tax returns filed this year irrespective of whether you provided the acknowledgment number for Aadhaar card, or quoted it in the tax returns form; in either case, you must link the PAN and Aadhaar. If you want to link the two but are not sure how to do it, you can use the e-facility launched by the Income Tax department, which is the easiest way to link the two. In fact, you don’t even need to sign in to the IT website to link your Aadhaar number and PAN card. This will only work if the details on the PAN Card and the Aadhaar card Number match. In case of any discrepancies, you can upload a scan of your PAN card, or register via OTP on your linked mobile number as mentioned above.